The voices of the Buy-side were heard and lauded in Hong Kong last week at the inaugural Trade Asia Electronic Trading Awards. During a panel discussion on algorithmic trading in the region, key institutional desk heads explored how the electronic trading environment had changed in the past few years and what was required in the future. Emma Quinn, head of Asia Pacific trading, at AllianceBernstein, underlined the continuing importance of indications of interest (IOIs). She said that the sell-side had recently increased the quality of IOIs but that more work could be done to improve them. 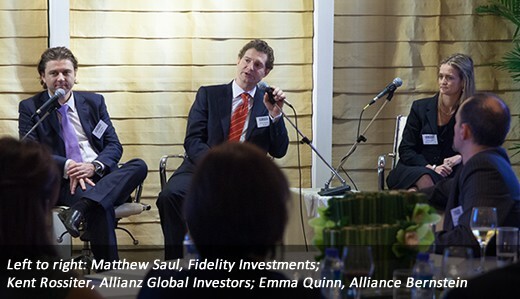 Matthew Saul, head of trading for Asia ex-Japan at Fidelity Investments, called on the sell-side to come up with truly innovative ways to solve the continuing liquidity drought. Kent Rossiter, head of trading, Asia Pacific at Allianz Global investors, called for more use of sales traders and a wider mix of low- and high-touch channels to get access liquidity in a low-volume environment. To mark the inaugural event on 29 November, The TRADE Asia launched two new awards recognising excellence on the trading desks of investment institutions in the region. The TRADE Asia canvassed Asian securities market participants in September and October and received more than 20 nominations from buy- and sell-side firms across two categories: ‘Buy-side trader of the year’ and ‘Buy-side project of the year’. George Molina, director of Asian trading at Franklin Templeton, was awarded Buy-side Trader of the Year in recognition of his significant contributions to the industry and his own organisation. The award recognised both his decade-long track record in setting the standard for best execution among Asian trading desks and more recently for his work with The Asia Trader Forum, representing the views and interests of the buy-side to regulators and the wider financial industry. In accepting the award Molina thanked his colleagues and peers for all the support. Currently the Franklin Templeton Global Equity Trading Group comprises 12 trading desks and 50 trading personnel globally, including five trading desks and 15 trading professionals in Asia. 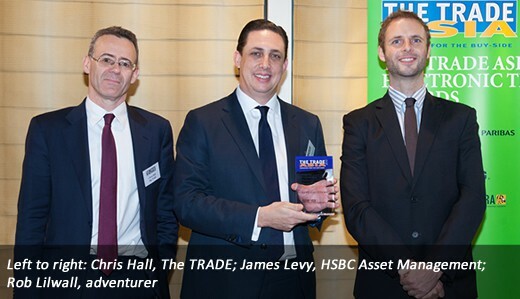 Winning the award for Buy-side Implementation Project of the Year was James Levy, head of dealing, Asia-Pacific, HSBC Asset Management, for the transformational work he has done since joining the firm in 2011. During that time, Levy has introduced new benchmarks, processes and technologies to his trading desk, aimed at reducing market impact and increasing transparency to internal customers and external suppliers. The TRADE has been running a global Algorithmic Trading Survey for five years and has been awarding providers of algorithms in Asia since 2011.